Staff listing. – military schools and private boarding schools. 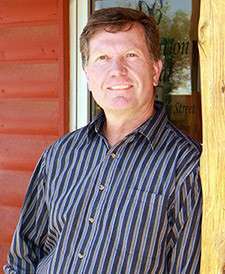 Randy Soderquist is a Licensed Clinical Social Worker with over 20 years experience working with troubled children, adolescents and families in both residential and outpatient settings. Randy served as the Program Director of a Federally funded children’s mental health grant to improve mental health services to youth and their families. Randy previously worked with several therapeutic boarding schools, providing individual and group counseling to the youth, clinical supervision to the clinical director and therapists as well as clinical consultation to the owners and clinical directors. Randy enjoys working with youth, helping them to see who they really are and their potential to become anything they can dream to be! Randy specializes in working with adolescent females who have experienced abuse, trauma and substance abuse. Randy is also a Level I Certified Equine Assisted Therapist. Randy and his wife Toni are the parents of five children. One son and four daughters. The motivation for Re-Creation Retreat came from the personal experience of helping one of their daughters through a very abusive relationship. As they attempted to help their daughter, they were amazed at the difficulty dealing with the legal system, the educational system and the well-meaning but uninformed community in which they lived. Due to the lack of knowledge about abuse of women and its dynamics and a lack of resources, they found it to be a challenge to get their daughter the help she needed and to find support for themselves as parents. As a result, Randy and Toni developed Re-Creation Retreat. It is a private school and inpatient care facility for girls with the mission of helping young women “Re-Create” their lives around true principles leading to a correct understanding of who they “really are” and who they “can be.” Re-Creation Retreat is a resource for parents who are at the point of not knowing what to do to help their daughter who may be making poor decisions, failing in school, involved in unhealthy relationships and/or just defying parental authority. A compassionate listener, Sharla has a knack for helping others connect with their emotions. With over seven years experience in individual and family therapy at Re-Creation Retreat, Sharla is spurred on by her desire to make a difference in the lives of the students she works with, and the types of relationships they form with themselves and others. Comfortable with tackling tough topics, Sharla is a specialist in dealing with trauma and is certified in EMDR (Eye Movement Desensitization and Reprocessing therapy). Sharla leads the therapy group, “Voices” where she focuses on providing information and therapeutic tools designed to help each individual heal from their past and find ways to move forward. She has a passion for photography, graphic design, reading, and staying connected. Sharla and her husband Phil have been married for thirty years, and in addition to their own tribe of seven, they have ten grandchildren, a gaggle of geese and a flock of ducks. Adventurous and kind, Guy is a part-time cowboy, and a full-time counselor and director. Twenty years ago when Guy started counseling teens in the mental health industry, he knew he had discovered his ideal fit and would continue to work with youth for the rest of his life. Learning what works and what does not, is key to Guy’s clinical approach because he “loves to see a young person change from unhappiness to a state of happiness.” Guy enjoys order, beauty and peace, and this shows in his teaching a mindfulness group, and in his horsemanship groups (he is trained in Equine Assisted Psychotherapy). He is a licensed therapist in Arizona and Utah, earning his Masters in Mental Health Counseling from the University of Phoenix. As Re-Creation Retreat’s new Clinical Director in October 2015, Guy continues to promote the integration of residential and therapeutic care where RCR’s students are just as likely to see their therapist eating lunch beside them, as they are in a group or a counseling session. Guy enjoys teaching principles that help free people physically, spiritually and emotionally. Guy has been married to his wife Regina for 29 years and they are the parents of 4 children, and are now grandparents to a beautiful little baby girl. Linda McCowan has a bachelor of Arts degree from Brigham Young University, majoring in English Literature. She is the author/illustrator of a children’s book Cancer Rhymes with Dancer and an author /contributor to the Chicken Soup for the Soul: Tough People for Tough Times. She has worked with youth for over 20 years. At Re-Creation Retreat Linda puts her arts background to use–leading drama workshops, teaching cultural appreciation, organizing art and craft activities. Having moved countries, had cancer, been married for over seventeen years, and as a mother of four–2 of them teens– she brings a wealth of useful life experience to our team. For the past 14 years, Dean has been sharing his gifts as an Emotional Growth Facilitator. Dean dedicates his seminars to helping people connect with their true self and as a result, each participant comes away with a unique personal experience. As the participants open up and learn more about what these seminars have to offer, their input helps determine the focus and direction of their seminar. It’s Dean’s way of giving each person what they need, and making sure they get out of the seminar as much as they put into it. Dean’s down-to- earth attitude makes him easy to identify with and his unconditional acceptance of people really puts them at ease. He has a remarkable ability to connect with the people he works with and he truly cares about each participant’s well-being and growth. Dean has a passion for this work and puts his heart and soul into making each seminar a life enhancing experience. Dean Nixon has over 20 years of experience working with both adults and teens in the treatment industry. Dean has been instrumental in the creation and success of several local treatment centers, acting as Program Director, and facilitating seminars for teens and their parents. Passionate about teaching personal growth and development, Austin is a great advocate of positive thinking and the power to overcome limiting beliefs. Austin has a Bachelor of Arts from Dixie State University in St. George, and is currently working on a Masters from Grand Canyon University, as he works towards becoming a licensed therapist. Upbeat, and a go-getter, Austin teaches drama, and is notorious for making video clips and for his quirky sense of humor which he uses to help others to deal with stress and to redirect their energy. He has worked at Re-Creation Retreat for over six years in various positions including Youth Coach, Shift Leader and more recently as the Residential Director. He discovered he feels right at home working with youth, and also more recently, mentoring staff. He is one of the Positive Control System’s Trainers for RCR. Austin is married to the lovely Abrianna and they have one son. Known for her fun dynamic personality, Christine loves to run a tight ship. Bringing structure and order to RCR is part of her passion as she enjoys dividing her time between managing the front office and leading shifts. Christine brings twelve years of bookkeeping and customer service to the front office. She also brings her life skills and four years of work experience in a behavioral health context to her shift leader position. Her favorite thing about working as a Shift Leader is being able to be a part of making a difference in young women’s lives by helping them to learnhow to help them selves. Notorious for her keen observation and detective skills, and having four young adult/teen children of her own, she says over the years these skills have come in handy! She also loves camping and spending time with family. Born in Michigan, third child of an outdoorsy family, Collin Reynolds is a Youth Coach at Re-Creation Retreat. Collin brings his behavioral health work experience to RCR and enjoys the challenge of learning new skills, studying and understanding human behavior. Collin is also part of the National Guard (UTARNG), speaks French, loves to read, and is working on a Bachelor’s of Science Degree. Both at Re-Creation Retreat, and in the army, he enjoys the challenge of serving others and being a part of something bigger. Third child of Randy and Toni Soderquist, Erica loves working with family—and with the students and staff, who are like family. As a Shift Leader Erica finds it particularly rewarding to help facilitate growth and change, so students can achieve better future outcomes. Erica shares her strong work ethic with others, and her passion for helping others to look outside themselves to appreciate the affects of their own personal influence. She is known for her cooking skills and her contagious laugh. She loves to dance, hike, work out, star gaze, travel and enjoy spending time with her family, and her dog Nuka. Rachael brings over 30 years of nursing experience to RCR. She has worked “from ER to OB and everything in between!” Rachael loves working with youth, being available to the students and staff as a resource, and educating students on how to take care of their bodies through her weekly health class and question and answer sessions. The third child of eight children, Rachael describes herself as the child of “gypsy hill-billies” whom instilled in her a long tradition of loving animals. She passes on this love, especially of horses, to her own children and when she’s not working at the hospital or Re-Creation Retreat, she spends as much time as she can in the saddle. Tami Johnson, RCR’s Academic Advisor recalls wanting to be a teacher ever since she was in second grade because she enjoys sharing her love for learning, especially in math and science. As a self- described “math nerd,” a certified teacher, and a life coach, she loves to mentor youth to promote their all round growth. Tami is currently working on a Masters in Science. She enjoys nature, hiking and crafts and is a mother of three adult children. Her family includes four dogs, two cats and six chickens. We can also help you in your search for other military schools, Christian schools, therapeutic boarding schools, therapeutic boarding schools or residential schools for girls. Re-Creation Retreat is a therapeutic boarding school for troubled teenage girls offering teen counseling for girls with adoption issues (reactive attachment disorders), self-harm (self-mutilation) or cutting, or eating disorders (anorexia, bulimia, anorexia nervosa). Other behavioral issues we deal with include: depression, post traumatic stress and anxiety. If you have an out of control girl, please consider this school for troubled girls that offers teen counseling and teen counselors for troubled girls. We offer counseling for troubled teens and out of control teens. We especially work with RAD girls and troubled girls who are adopted. Homes for troubled teens and boarding schools for teens don’t typically offer teen counseling and therapy, but we do. Among the best therapeutic schools with counseling – also referred to as “schools for troubled teens”.